Faced with a slowing global economy, a number of observers – including former US Federal Reserve Chair Ben Bernanke and Berkeley economist Brad DeLong – have argued that money-financed fiscal expansion should not be excluded from the policy toolkit. But talk of such “helicopter drops” of newly printed money has produced a strong counterattack, including from Michael Heise , the chief economist of Allianz, and Koichi Hamada , the chief economic adviser to Prime Minister Shinzo Abe and one of the architects of Japan’s “Abenomics” economic-recovery program. 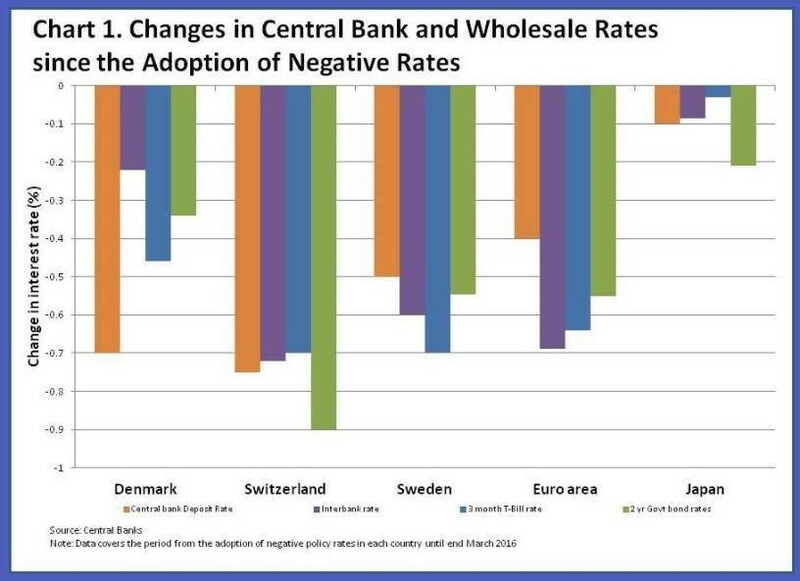 I disagree with Heise and Hamada, but they rightly focus on the central issue – the risk that allowing any monetary finance will invite excessive use. The crucial question is whether we can devise rules and responsibilities to guard against that danger. I believe we can and must, and that in some countries the alternative will not be no monetary finance, but monetary finance implemented without discipline. As I argued in a recent International Monetary Fund paper , the technical case for monetary finance is indisputable. It is the one policy that will always stimulate nominal demand, even when other policies – such as debt-financed fiscal deficits or negative interest rates – are ineffective. And its impact on nominal demand can in principle be calibrated: A small amount will produce a potentially useful stimulus to either output or the price level, whereas a very large amount will produce excessive inflation. That is not to deny important complexities in implementing helicopter drops. If money creation finances tax cuts rather than increased public expenditure, the impact will depend on how much consumers decide to spend versus save – a balance that may be unstable over time. And, because money creation by central banks increases commercial banks’ reserves, there is a risk that lending will increase little at first, but then rapidly. But these complexities simply argue for a cautious approach to the scale of monetary finance and the careful use of tools – such as mandatory-reserve requirements – to constrain subsequent knock-on effects. The only powerful argument against helicopter drops is the one that Heise and Hamada stress – the political risk of overuse. If monetary finance is no longer prohibited, politicians might use it to curry favor with political constituencies or to over-stimulate the economy ahead of an election. Hamada oddly suggests that proponents of monetary finance ignore this risk; but in my own IMF paper, and in Bernanke’s recent blog post, it is a central concern. History provides many examples of excessive monetary finance, from Weimar Germany to the many emerging economies where governments have pressured central banks to finance large fiscal deficits, with high inflation the inevitable result. So a valid argument can be made that the dangers of excessive monetary finance are so great that it should be prohibited entirely, even if in some circumstances it would be the best policy. But a valid argument is not necessarily a convincing one. After all, other policies to support demand growth, or a failure to implement any policy, can be equally dangerous. It was deflation, not hyperinflation, that destroyed the Weimar Republic. Hitler’s electoral breakthrough of 1932 was achieved amid rapidly falling prices. And alternative policies will in some circumstances have adverse side effects. The root cause of today’s problems was excessive private credit growth before 2008. If our only way out is interest rates negative enough to re-stimulate that rapid growth, we are doomed to repeat past mistakes. Moreover, there is no reason why we cannot construct rules and responsibilities to mitigate the political risk of excessive use. Bernanke, for example, has proposed giving independent central banks the authority to approve a maximum quantity of monetary finance if they believe doing so is necessary to achieve their clearly defined inflation target. Of course, opponents can counter with a “slippery slope” argument: Only total prohibition is a defensible line against political pressure for ever-laxer rules. And in countries with a recent history of excessive monetary finance – for example, Brazil, which is still struggling to contain inflation amid political pressures for large deficit finance – that argument could be compelling. But if the European Central Bank, the Bank of England, or the Fed could independently approve a maximum quantity of monetary finance, no erosion of their independence would inevitably follow. The crucial issue is whether political systems can be trusted to establish and maintain appropriate discipline. Hamada cites the example of Japanese Finance Minister Korekiyo Takahashi, who used monetary-financed fiscal expansion to pull Japan’s economy out of recession in the early 1930s. Takahashi rightly sought to tighten policy once adequate output and price growth had returned, but was assassinated by militarists keen to use unconstrained monetary finance to support imperial expansion. But Hamada’s inference that this illustrates the inherent dangers of monetary finance is not credible. Continued deflation would also have destroyed Japan’s constitutional system, as it did Germany’s. And if Takahashi had stimulated the economy with negative interest rates, and then sought to reverse that policy, he would have met the same end. Prohibition of monetary finance cannot secure democracy or the rule of law in the face of powerful anti-democratic forces. But disciplined and moderate monetary finance, by combating deflationary dangers, might sometimes help. So, rather than prohibiting it, we should ensure its responsible use. The likely alternative is not no monetary finance, but monetary finance implemented too late and in an undisciplined fashion. Japan today illustrates that danger. Having eschewed monetary finance for too long, it now has so much public debt (about 250% of GDP) that if that debt were all monetized, excessive inflation would probably result. But there is no credible scenario in which that debt can ever be “repaid” in the normal sense of the word. De facto monetization is the inevitable result, with the Bank of Japan purchasing each month more bonds than the government issues, even while it denies that monetary finance is an acceptable policy option. If Japan had followed Bernanke’s advice in 2003 and implemented a moderate money-financed stimulus, it would today have a slightly higher price level and a lower debt-to-GDP ratio. Having failed to do that, it should now define clear rules and responsibilities to govern and manage as best as possible the inevitable monetization of some part of its accumulated debts. The lesson of Japan – but not only Japan – is clear: It is better to recognize the technical case for monetary finance and mitigate the political dangers than to prohibit its use entirely and pile up still greater dangers for the future.